Speaking to journalists at the Credit Board located in Mwenge, Dar es Salaam, CEO of the Higher Education Student Loan Board (HESLB), Abdul-Razaq Badru has called on those who have not yet begun to repay their loans, even if they have not employed yet , they should go to the loan board offices in various parts of the country to get innstructions and how to repay their loans. "We call on those who for some reason have not begun to pay, and are welcome to our offices. Even those who are not in special jobs have a special procedure we have made. They can contact us in our contacts or come to the offices of Dar es Salaam, Dodoma, Mwanza, Arusha, Zanzibar and elsewhere we will give them specific instructions and procedures to pay. "Said HESLB Director. 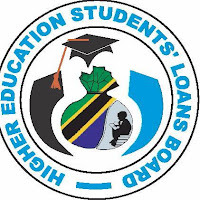 In addition, Mr Badru has emphasized that the Board will ensure that it deals with all those who have not yet repay their loans so that they can rehabilitate the legal proceedings and bring them to court.